The Church and Media conference has been running in various guises for the last 39 years. Not many people know it exists, but that is because it has aimed to serve Christians involved in the media, who are both a brave and select bunch. This now looks like it may well change following the appearance of Katie Hopkins – yes the Katie Hopkins – at their latest bash held yesterday. And obviously one thing led to another and Ms Hopkins was indeed booked. You can imagine her surprise at being asked, but then she must have quickly moved on to considering how she could maximise the opportunity and decided she could use it to her advantage. When the time came she certainly made the most of it. With all honesty she announced, “I’m Jesus of the outspoken. Jesus had his followers; I have 600,000 followers on Twitter. It’s about leading the way – I am the new Jesus.” She then went on to discuss her dislike of religion and nuns in particular. It was perfectly engineered for the moment and had exactly the desired effect. We now have the papers and commentators (like the one writing this) jumping on her comments and giving her yet more unnecessary exposure. So Katie gets another moment in the sun and the Church and Media Network get their name mentioned in the process and do a few interviews explaining what on earth they were thinking. Now though, having had a few moments to consider this slightly surreal occasion, we’re left asking whether this was all a good idea or not. 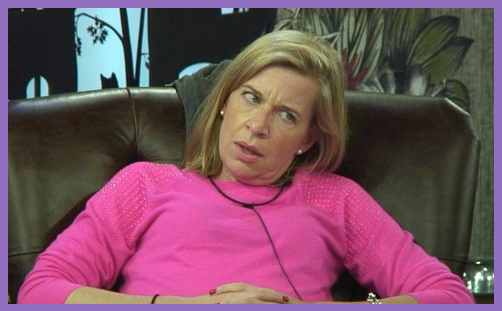 Did Katie Hopkins really need a chance to equate herself to Jesus in front of a bunch of Christians? There were some who deeply unimpressed when the booking was first announced with the Church and Media Network to having to publicly defend their decision. Those same people will probably now be saying that this outcome was inevitable and did nothing for the credibility of the organisation or even the Christian faith. Let me however, give an alternative perspective. Jesus was not exactly well known for spending his time exclusively with nice, agreeable people. He went out of his way to hang out with a whole range of sinners who according to others didn’t deserve his attention. Jesus was as much at home conversing with prostitutes and thieves as he was with supposedly respectable Pharisees and politicians. Like Katie Hopkins, he wasn’t afraid to say what he thought or offend people, although he evidently did it with a lot more wisdom and understanding. Jesus was a radical by anyone’s standards, which is why the church’s traditional ‘More tea vicar?’ image is so out of step with the one who is the very reason it exists. Too many both in and outside of the church would prefer it to be harmless cosy place that makes them feel good, but rarely challenges anything or anyone. That attitude is one of the main reasons that the church has declined so rapidly over the last few decades. It has lacked bite and has taken very few risks for the sake of its mission to reach out to the world. Safe is boring and anyone who has even a basic understanding of the Bible and the life of Jesus can never accuse God of being boring. Jesus asked Peter to step out in faith when he told him to get out of the boat and walk upon the water. Real living faith involves risk – of making decisions that in human eyes seem crazy, but in God’s eyes make perfect sense. Sometimes those risks pay off and at other times they don’t go quite as we might expect, but if they are done out of a desire to serve God, he will honour that obedience. So well done to the Church and Media Network for deciding to do something a bit different, even if in doing so Katie Hopkins got another helping of attention she probably didn’t need. What we undoubtedly do need is plenty more Christians willing to make faithful steps and challenge the boundaries of acceptability for the sake of the Kingdom of Heaven. Maybe Jeremy Clarkson for next year’s conference then?